I decided to change up my skincare. Not hugely, but I thought making it a bit simpler, so I purchased some new products, which I am obsessed with! This smells divine! I get excited using this product, silly I know, but the whole spritzing your face with this, leaves it feeling refreshing! I leave my skin to absorb this, even though it is optional to use a cotton pad to remove the excess, the smell is too good! 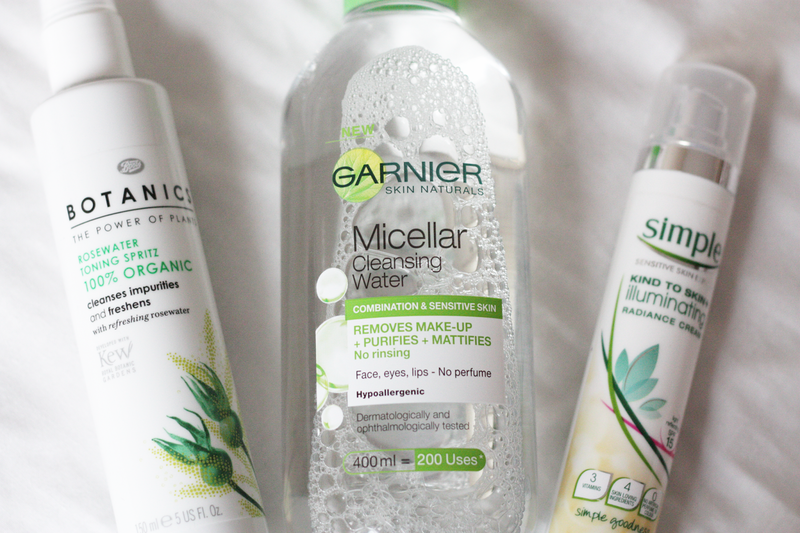 Second up, I needed to repurchase the Garnier Micellar Cleansing water, however this bottle caught my eye... its green! I believe the difference with this is that it mattifies the skin, which is good for me, as my T-zone tends to get quite oily. This product works wonders with foundation! Lately for a dewy and lighter coverage, I have been mixing some of this with my foundation and applying with a buffing brush. It leaves my skin looking lovely and full of glow! Hey! You have a lovely blog. Great Post! 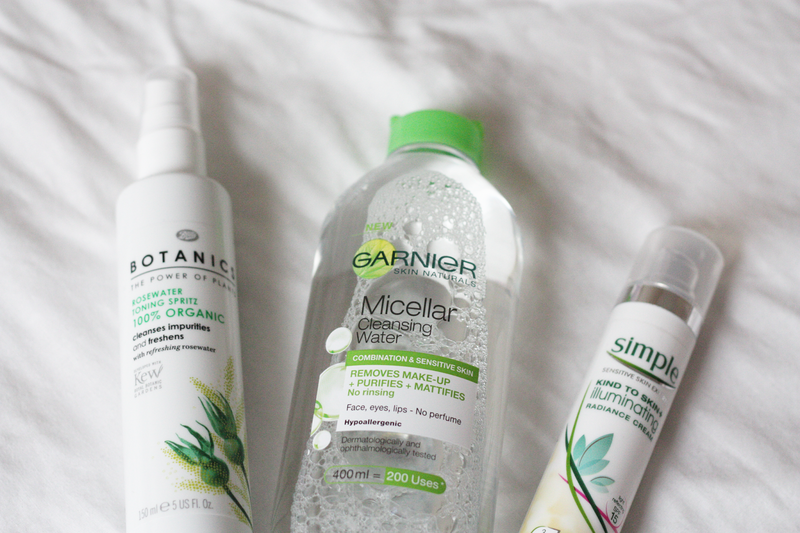 I am really wanting to try that Garnier Cleansing Water.. Curious, what do you use it with? A cotton pad or a muslin cloth?